"Fantasy fans can't afford to miss the darkly comic and unforgettably queasy experience of reading this book-and be glad for reality." "This is a book for grown-up fans of children's fantasy and would appeal to those who loved Donna Tartt's The Secret History. Highly recommended." "Very dark and very scary, with no simple answers provided-fantasy for grown- ups, in other words, and very satisfying indeed." "... provocative, unput-downable ... one of the best fantasies I've read in ages." "Stirring, complex, adventurous ... from the life of Quentin Coldwater, his slacker Park Slope Harry Potter, Lev Grossman delivers superb coming of age fantasy." "The Magicians ought to be required reading for anyone who has ever fallen in love with a fantasy series, or wished they went to a school for wizards." 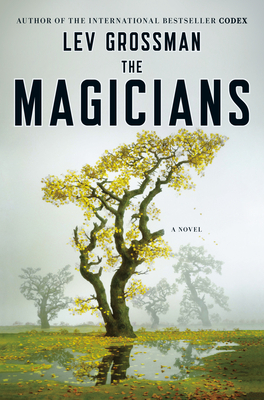 "The Magicians is a spellbinding, fast-moving, dark fantasy book for grownups that feels like an instant classic." "The Magicians is fantastic. It's strange, fanciful, extravagant, eccentric, and truly remarkable-a great story, masterfully told." "Remember the last time you ran home to finish a book? This is it, folks. The Magicians is the most dazzling, erudite and thoughtful fantasy novel to date." "The Magicians brilliantly explores the hidden underbelly of fantasy and easy magic ... It's like seeing the worlds of Narnia and Harry Potter through a 3-D magnifying glass." "Grossman clearly has read his POtter and much more. While this story invariably echoes a whole body of romantic coming-of-age tales, Grossman's American variation is fresh and compelling. Like a jazz musician, he riffs on Potter and Narnia, but makes it his own." "Grossman skillfully moves us through four years of school and a postgraduate adventure, never letting the pace slacken...beguiling." "An irresistible storytelling momentum makes The Magicians a great summer book, both thoughtful and enchanting." "Sly and lyrical, [The Magicians] captures the magic of childhood and the sobering years beyond." "...no doubt that this book is inventive storytelling and Grossman is at the height of his powers." "The Magicians reimagines modern-day fantasy for grownups. [It] breathes life into a cast of characters you want to know...and does what [some] claim books never really manage to do: 'get you out, really out, of where you were and into somewhere better."